Delhi, India’s capital territory, is a massive metropolitan area in the country’s north Delhi Sightseeing. 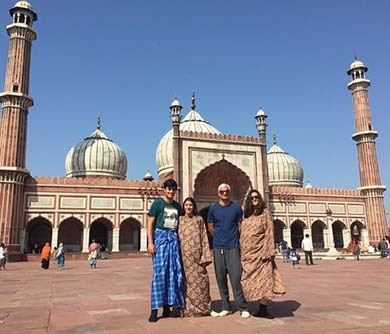 In Old Delhi, a neighborhood dating to the 1600s, stands the imposing Mughal-era Red Fort, a symbol of India, and the sprawling Jama Masjid mosque, whose courtyard accommodates 25,000 people. Agra is a city in northern India’s Uttar Pradesh state. It's home to the iconic Taj Mahal, a mausoleum built for the Mughal ruler Shah Jahan’s wife, Mumtaz Mahal (who died in childbirth in 1631).He imposing main building features a massive dome and intricately carved white marble inlaid with precious stones. Jaipur is the capital of India’s Rajasthan state. 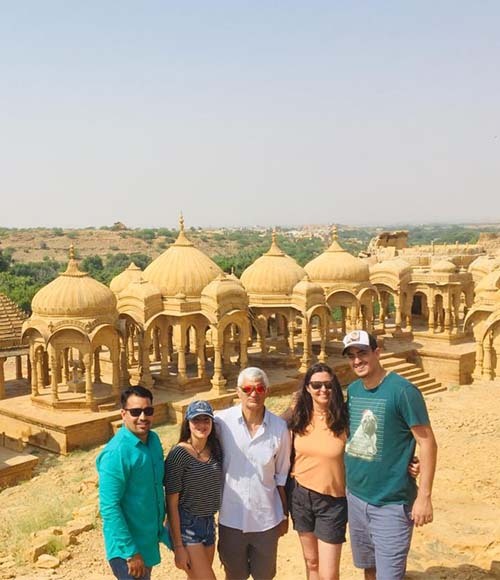 It evokes the royal family that once ruled the region and that, in 1727, founded what is now called the Old City, or “Pink City” for its trademark building color of Jaipur Sightseeing. At the center of its stately street grid (notable in India) stands the opulent, colonnaded City Palace complex. India, a country which packs a lot into a massive space, there are many places which work as a prey to the travellers. Every year travellers from the different corner of the world flock here just to enjoy the scenic beauty exhibit by nature as well as the beauty of the historical and religious sights. Agra is the city, sounding great at the bank of River Yamuna in the state Uttar Pradesh. Those who have a weakness towards arts and architecture, visiting this city will be perfect for them. If you have a handsome budget, then we suggest you choose same day Agra tour by car. Because this tour package lets you explore the basic culture of India with all the privacy. Agra is the land of wonders and pure love in India. Many visitors come from different corners of the world to India and none of them have skipped Agra on the tour. Not only have that, but also the tourist from the different parts of India always rushed to this river bank city to enjoy the arts and beauty of the monuments. So let us know deeply about the city. Every year millions of tourist are visiting this city to enjoy the beauty of the arts of Taj Mahal and Agra Fort. 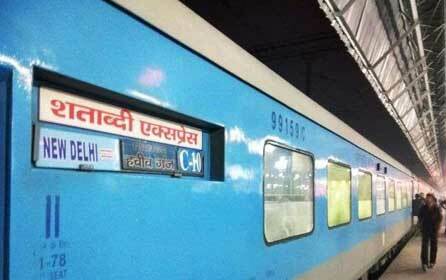 If you have a tight budget and we suggest you choose same day Agra tour by train. It will be economical and time-saving also. 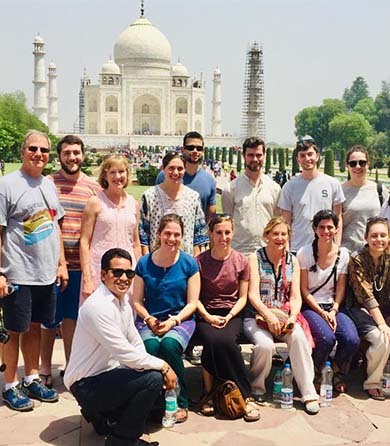 Enjoy the Mughal Architecture on Overnight Agra tour. The Taj Mahal is the main attraction and also popularly known as the symbol of love made of white marble was built by Emperor Shah Jahan. Standing on the bank of river Yamuna in Agra, India. It was made as a memorial for Mumtaj Mahal, Shah Jahan's wife and was named after her name to honor her. Taj Mahal is popular for its beautiful architecture. 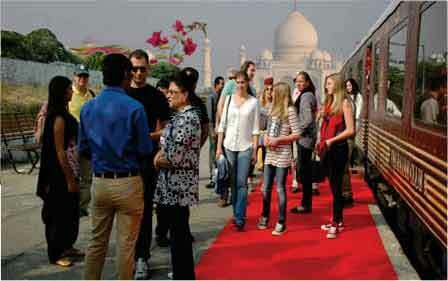 Agra overnight tour is the tour package which allows the people to experience the beauty of Taj. The overnight tour will plan your trip in such a way that you won't miss out a single monument or beautiful place and make your trip memorable. Delhi is the heart throb of India. Since centuries it has the political city for rulers who came to India from diverse parts of the world. Today it has completely transformed into a metro city and is an amazing blend of modernity but at the same time it has not lost the touch of its glorious past. Delhi is the most accessible city and Indira Gandhi International Airport is well connected to different national and international destinations. On reaching Delhi our representative will meet you at the pre-decided place. 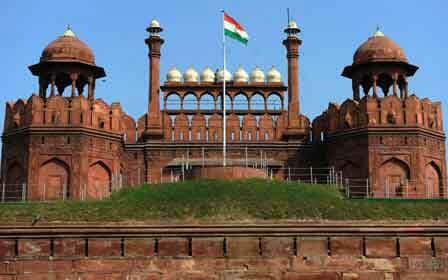 This same day Delhi tour lets tourists to dive into the heart of India. India the country which packs a lot into a massive space, there are many places which work as a prey to the travellers. Every year travellers from the different corner of the world flock here just to enjoy the scenic beauty exhibit by nature as well as the beauty of the historical and religious sights. Agra is the city, sounding great at the bank of River Yamuna in the state Uttar Pradesh. Those who have a weakness towards arts and architecture, visiting this city will be perfect for them. If you have a handsome budget, then we suggest you choose same day Agra tour by car. Agra the land of wonders and pure love in India. Many visitors come from different corners of the world to India and none of them have skipped Agra on the tour. 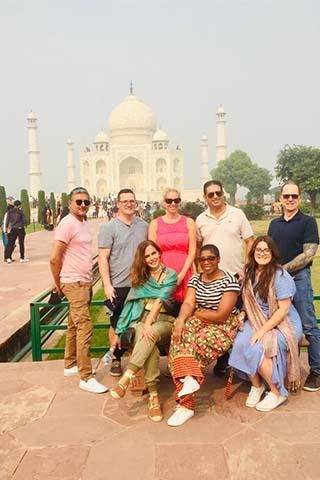 Not only have that, but also the tourist from the different parts of India always rushed to this river bank city to enjoy the arts and beauty of the monuments. So let us know deeply about the city. Every year millions of tourist are visiting this city to enjoy the beauty of the arts of Taj Mahal and Agra Fort. 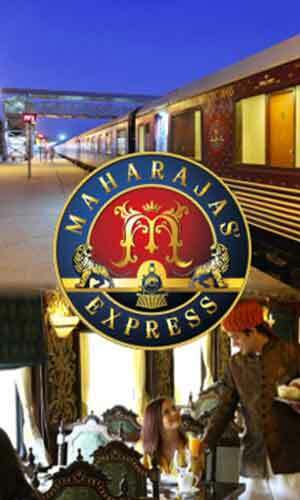 If you have a tight budget and we suggest you choose same day Taj Mahal tour by train. It will be economical and time-saving also. 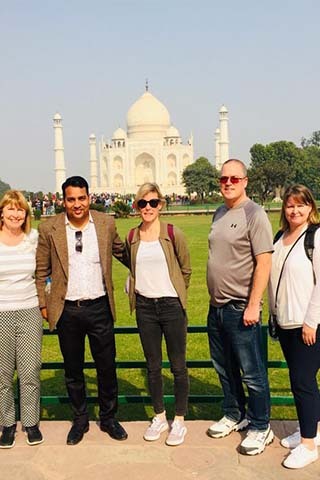 Enjoy the Mughal Architecture on Overnight Agra tour Taj Mahal also popularly known as the symbol of love made of white marble was built by Emperor Shah Jahan on the bank of river Yamuna in Agra, India. It was made as a memorial for Mumtaj Mahal, Shah Jahan's wife and was named after her name to honor her. Taj Mahal is popular for its beautiful architecture. 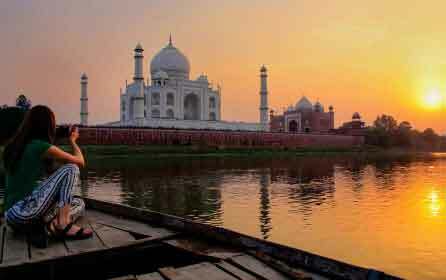 Agra overnight tour is the tour package which allows the people to experience the beauty of Taj. 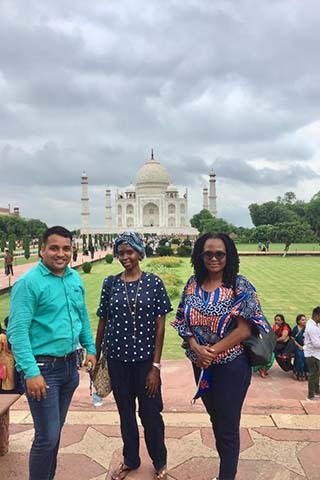 The overnight tour will plan your trip in such a way that you won't miss out a single monument or beautiful place and make your trip memorable. Delhi is the heart throb of India. Since centuries it has the political city for rulers who came to India from diverse parts of the world. Today it has completely transformed into a metro city and is an amazing blend of modernity but at the same time it has not lost the touch of its glorious past. Delhi is the most accessible city and Indira Gandhi International Airport is well connected to different national and international destinations. On reaching Delhi our representative will meet you at the pre-decided place. 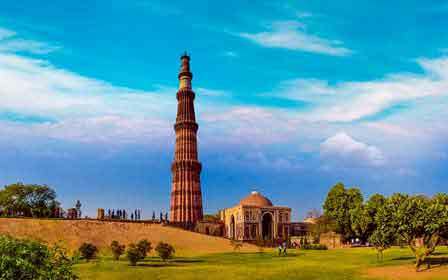 The Delhi Same Day Tour starts at 9 AM. 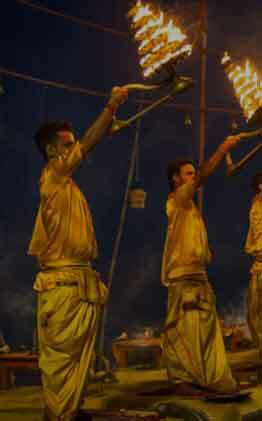 India, being one of the most popular tourist destination in the world, attracts millions of tourists every single year. And a large part of these tourists come to Agra to explore its vivid culture, rich history and marvelous monuments. 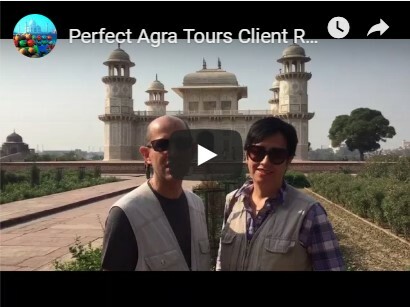 Perfect Agra Tours offers you a Delhi to Jaipur by Car in which you get to visit some of the most renowned destinations in the city. We take you to the historical Amber Fort, a beautiful lake Jal Mahal, luxurious City Palace and world-famous Jantar Mantar. The Day Trip to Jaipur by Car starts from the National Capital of Delhi and concludes on the same day Jaipur tour by car. Popularly known as the Pink City and the Venice of the East, Jaipur is a beautiful city and the Capital of Indian State of Rajasthan. Has anything which is historical rich impacted your mind? If not till now, then this Golden Triangle Tour 4 Days can do this work for you. 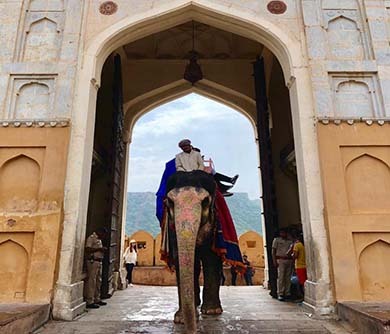 Golden Triangle Tour 5 Days is just as instagrammable and selfie-worthy as any other part of the World. It is also one of the hottest destinations for Indian as well as International tourists alike who would want to get a glimpse of North Indian heritage. 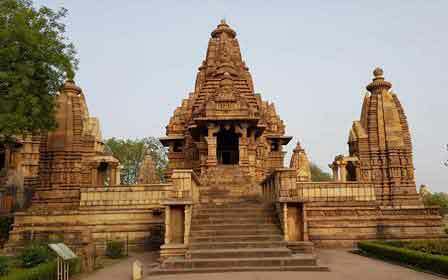 The tour will familiarize you with Khajuraho, declared as a world heritage site by UNESCO because of the rich and one of the oldest heritages it has to offer. Our exclusive Golden Triangle Tour 4 Days 3 Nights package brings you the best of this fantastic region which is like a hub for culture, art and breathtaking historic significance.pse of North Indian heritage. For all those who are passionate about architecture, this trip is a perfect choice. Right from Red Fort in Delhi, Hawa Mahal in Jaipur and the amazing wonder Taj Mahal in Agra, it is an absolute delight to eyes and triggers intellectual curiosity about the rich history. The Golden Triangle has long history when it comes to Indian Travels. It is also one of the hottest destinations for Indian as well as International tourists alike who would want to get a glimpse of North Indian heritage. India is the country which has contributed a bunch of villains and heroes to the global history. And they all have their regime in the major parts of India, Delhi, Agra, and Jaipur. These are the cities which have the frenetic streets, aww-amazing monuments, and scrumdiddlyumptious food items. Every day, ample amount of tourists visit these cities and all they expected for this country becomes all unexpected. 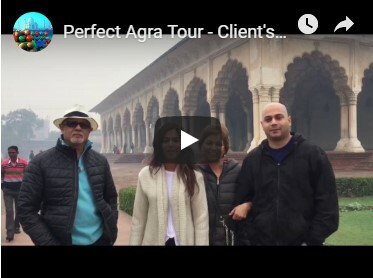 Perfect Agra Tours offers a great way of exploring these at their best and it has given a name, Delhi Agra Jaipur Tour also known as Golden Triangle Holiday Packages. 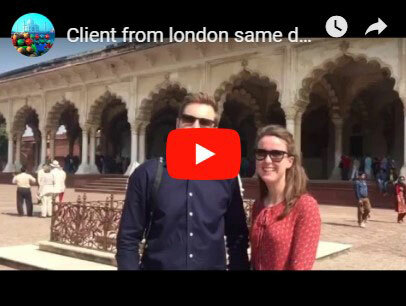 Let a dedicated guide show you the highlights and landmarks of each city, including the Taj Mahal, and Agra Fort in Agra. Jaipur Sightseeing - City Palace, Amber Fort, Observatory, and Hawa Mahal in Jaipur. And India Gate, Qutub Minar, Red Fort, and Lotus temple in Delhi. We have also other various tours packages for Agra excursion like Same Day Agra Tour, Overnight Agra Tour, and Same Day Agra Tour by Train. Likewise Agra, we have tours packages of Delhi, Same Day Delhi Tour. These are the tour packages for those who want to see the beauty of Agra and Delhi in depth. Along with all the famous monuments, a whooshing buzz surrounds streets of these cities. The fashion, culture, and heritage of these cities can very easily challenge the other big countries. Also, the evolving modernity of these cities can make the place in any exploring heart. 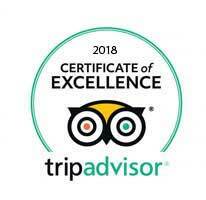 Experience the wonderful journey to India. Also, brace yourself because this Golden Triangle Tour India will give you the wildest culinary trip of your travelling life. Feels the emotions attached with the War Memorial (India Gate), thousands of soldiers sacrificed their lives for the name of this country. And in honour to that, this amazing architecture was built. Quench your taste buds by devouring delicious food items, Delhi is very rich in providing best streets food snacks. Get a picture clicked by holding the top of the Taj Mahal's tomb. And get it back with you to show the others. Get the chanting history of Agra in Agra Fort and see how incredible it is. Taste the world's best class culinary dishes in any of the famous restaurants of Agra. 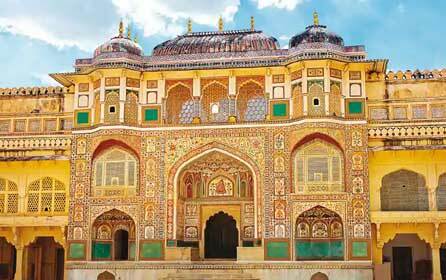 Get into the colours of Jaipur and the culture of Jaipur Sightseeing. Visit the world's very famous monuments Amber Fort (with elephant ride), Jal Mahal, Hawa Mahal, and Jantar Mantar. Explore the things for which India is known, the culture, the tradition, and history. Rajasthan Tour packages will take you in deep in all of them. 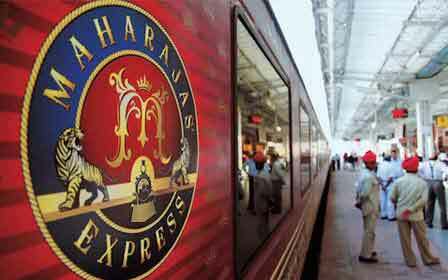 Maharajas' Express, bestowed the World's leading luxury train. At this Train who will see the India rich hands dipped in royalty and prosperity. Amber Fort :Basically, Jaipur is known for its richness in history, royalty, and culture. And all these things when combined together, gave the birth to Amber Fort. It located on top hill area. 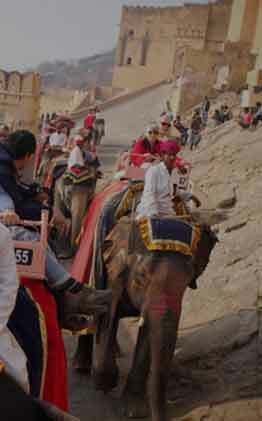 This Fort is the best option for the Tourists who want to the Jaipur Sightseeing. Enjoy the perfect sightseeing tour in Jaipur by visitingMaota Lake. 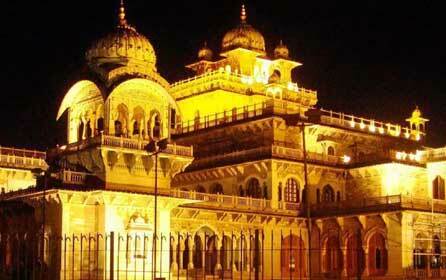 This can be the trip to Jaipur, which will give you mesmerizing views for the Tourists. Get the some major highlights of like Diwan-i-Khas, Diwan-i-Aam, and Sheesh Mahal which is the most favorite of the Maharajas. Nahargarh Fort : The Nahargarh Fort is one of the best Heritage Building in Jaipur City. Get the best experience to visit Aravalli Hills which is well-known as Sudarshangarh Fort. This Fort seen of a number of quantity Tiger hunts by the Royal Kings. 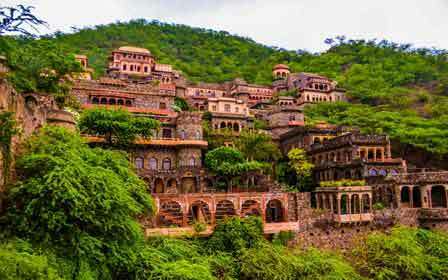 Jaigarh Fort : Experience the Glorious Jaigarh Fort which is located at Aravalli Hills which called the Hills of Eagles. 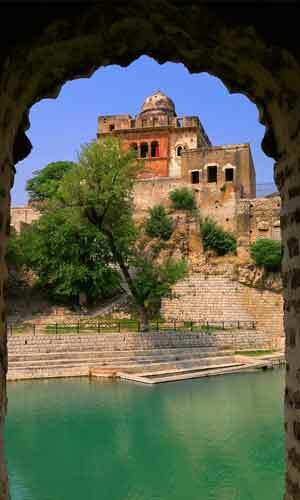 You enjoy this Ancient Place where served for the Mughal and Rajput Kings. Jaigarh Fort is considered as the best museum in whole Jaipur city. Get enjoy the Royal Family and seen the display in this Museum. Jaivana Cannon is the huge cannon on wheels in the World. City Palace : City Palace is the Supreme Palace in the Jaipur City. It is a Centre Point of Heart of Jaipur. This is very attractive as well as one of the most exciting palace. There is a perfect welcoming Mubarak Mahal always attracts the Travelers. There are wonderful gardens and well decorated historic buildings. This Fort served as the Royal living area for the Maharaja. 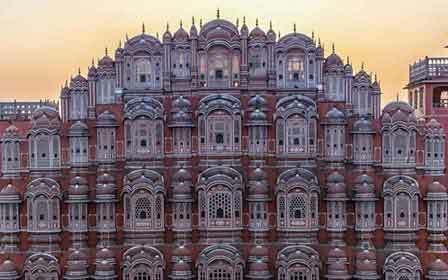 Hawa Mahal : Hawa Mahal is the most important part of the History in India. It is a five-storey building built in Pyramidal shape which is great of the crown of the Hindu God Lord Krishna. It is combination of the Mughal and Rajput structural design. Hawa Mahal has windows called Jharokas. It is major way of they enable Royal Women to views the outside World. This is main focus of the restricting of the outsiders to have glimpse of these women. Jal Mahal : Jal Mahal is the main located at Man Sagar Lake. It looks like the Water Palace boasts of its explained various stories. There are five floors of Jal Mahal. The first floor ruins underwater when the Lake if full. It the most favourite place of the beautiful queens for enjoy Royal parties celebrations. All stories related like the Jal Mahal was the most of the exciting palace for Duck hunting placeof the young princes. Now you have options to explore the Man Sagar Lake. Jantar Mantar : JantarMantar is the unique design of the best architects and astronomical abilities of the Rajput Kings. 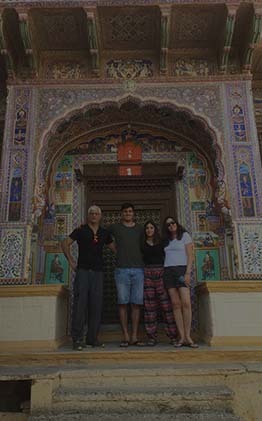 It is an important part of the Jaipur Sightseeing. Get see the well designed of the magical instrument which helped in calculating time. It using the Predicting Monsoons and tracking the position of the Sun, the Moon and the Sky Starts. This is full collections of 14 Geometric Devices. There is SamratYantra is the main devices. It is a major centre point to professional Learners of Astronomy. This is a great source of knowledge for the Astronomical Studies. 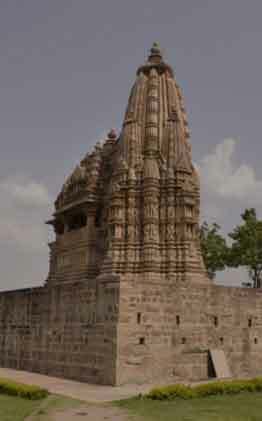 Abhaneri : It is a small village in the Dasua district, Jaipur. It is well-known for Harshat Mata Temple and the Chand Baori. 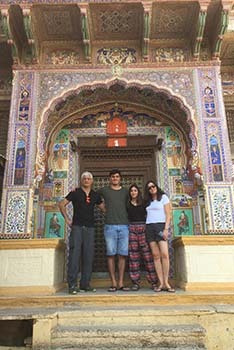 This village is an option for the Tourists who want to get explore Jaipur Sightseeing. Harshat Mata Temple is great temple who believed to get happiness. Chand Boari is India's well famous tourist attractions point. It serves in rainwater harvesting perfect source of water for the village. The most wanting travel place in the world holding various culture, religion, languages and different people is none other than INDIA. India provides vast travel opportunities for all age groups and for everyone coming from any corner of the world.